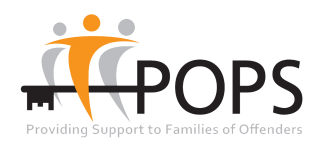 POPS was established in 1988 by family members experiencing the stigma and distress of supporting a relative through a custodial sentence. Since that time our remit has broadened as we have identified and responded to the needs of families. Today we provide support services at all stages of the criminal justice system, from the arrest of a loved one through to the first steps towards resettlement. This is POPS ‘continuum of care’, a model in which support for offenders’ families is consistent, committed and continuous. We continue to be guided by need, involving users at every stage to direct service development and delivery. Families themselves are our greatest resource in assisting other families in need and we are active in encouraging those who have experienced the system to get involved. Based in Manchester, our work has expanded over time to include the national i-HOP service (in partnership with Barnardo’s) and multiple projects across the North-West and Yorkshire and Humberside. 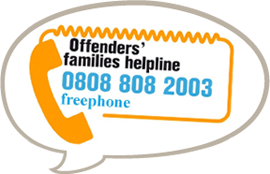 We have Family Support Workers attached to a variety of prison, probation and youth offending initiatives as well as running ten prison visitor centres, all with the aim of empowering families through the provision of timely information and targeted support. In our early years we were particularly active in promoting the needs of Black, Minority and Ethnic (BME) families and we continue to be committed to the development of support services which tackle the barriers faced by diverse communities to improve social inclusion. As our influence has grown we have become more involved strategically in local, national and international arenas. Partnerships have been key in bringing about a shift in the way families are approached and treated within the criminal justice system. The working relationships we have forged with HM Prison Service, the National Probation Service, the Youth Offending Service and the Department of Education have resulted in the integration of family support interventions into statutory services as families have been recognised as essential contributors to an offenders’ progress through the criminal justice system. POPS Social Enterprise, 2nd Chance was established in 2011 and delivers social wellbeing to vulnerable groups, including ex/offenders, their families and communities. 2nd Chance is driven by its aspiration to empower ex/offenders and vulnerable groups to enable them to enjoy and achieve a positive outcome in their lives.